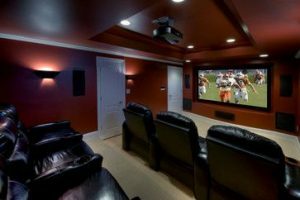 Are you turning your basement into a Man Cave? 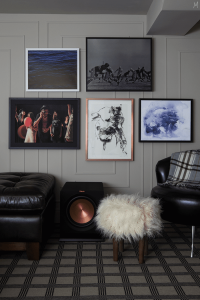 Here are 5 essentials to designing your Man Cave into a chic living space for the whole family. Leather Furniture is key in creating the masculine, yet cozy environment for your man cave. 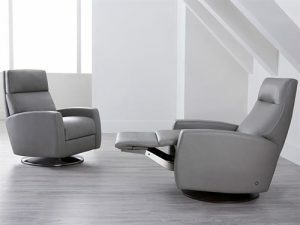 The recliners shown above are Comfort Recliners from American Leather. These Elliot and Eva models are shown in Bison Ash. American Leather Comfort Recliners are on sale now till June 27th. Check out more styles and options at Rockridge Furniture & Design! Dim ceiling lights and wall lights are great for watching movies and sports. They also add great ambiance when hosting Netflix & Chill parties. Wall art adds personality and color to your man cave. Decorate with photographs of your favorite sports and sports teams. Framing black and white photos adds an elegant touch to your space. 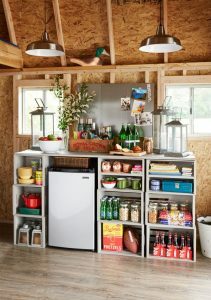 Everyone needs a Bar & Snack area for their Man Cave. Fill your bar with you favorite drinks, from soda to beer, and don’t forget the candy and popcorn! Don’t waste time running to the kitchen during half time, just head over to your bar area for a quick refill. 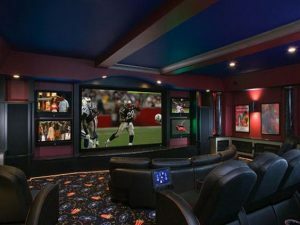 There is no point of a Man Cave without the entertainment system. Large flat screen TVs, so you can watch your favorite football player run across the field, like he’s running through your house. 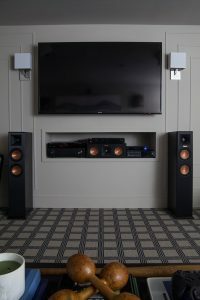 You also need surround sound to experience the true spirit of the home game. Come visit us at Rockridge Furniture & Design to purchase your Man Cave essentials, from leather sectionals, recliners, and bars!